I absolutely LOVE being in Australia. Such a beautiful country and such great people with their humour, openess and culture of fun and good times. And their classical musicians are pretty talented too! So I was very happy to be at the Australian World Orchestra (AWO) at the Sydney Opera House this July. The AWO is truly unique – as their founder and artistic director, Alex Briger, pointed out in this episode – there is no other professional orchestra made up of musicians from just one nationality. To reunite Australian musicians from orchestras at home and abroad for the performances of the AWO makes for a very special atmosphere both on and off the stage. On stage there is a unifying spirit to the music – and off stage there is so much hugging and laughing going on as they all get together as many are old friends. It’s said that the AWO is like the Australian Youth Orchestra with wrinkles..! 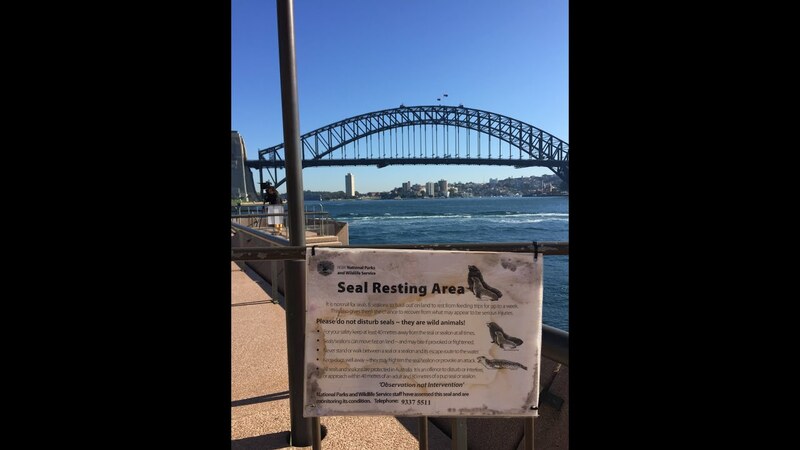 It was such a treat to spend a whole week in Sydney filming for Sarah’s Music. In true Australian style, we worked hard and played hard. 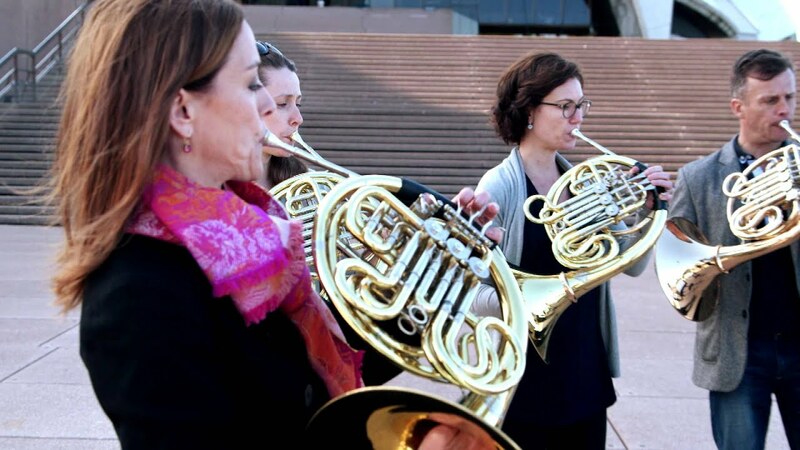 There was the interviewing of the AWO members and the playing with the horns on the Opera House steps when it was cold and windy and they had to rush back to play Bruckner 8. Such sports. (Check out the Horn Challenge and the Outtakes). And then there was the nightly gathering at the Sydney Opera Bar! A few thanks from me: to my Berlin ‘boss’, Sir Simon Rattle and his melodious wife Magdalena Kožena for their interviews; the AWO management team led by the tireless Gabrielle Thompson were fantastic and put on an amazing week; and last but not least, to my great Aussie team of José, Dan, Patrick, Deb and Juliette, who I hope enjoyed the two days exploring my often-crazy world of classical music! That’s all from me for this episode of Sarah’s Music. I hope you enjoyed being Down Under with us. And have I said yet how much I love Australia..? Ta ta ta taaaaa – Beethoven´s 5th!